This community based project focuses on improving the lives and future for the small coastal village Niubasaga, Moturiki Island, Fiji. The project has been formulated together with the village and comprises of three parts responding to the villages main threats in terms of sustainability. 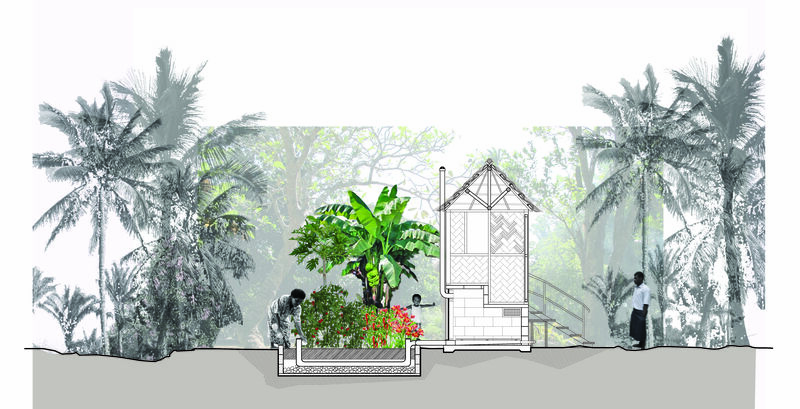 Composting toilets (1) , replanting of mangrove trees (2) and waste management (3). Composting toilets 1 We found a sustainable way for disposing of human waste and reusing nutrients in a safe manner. This type of ecological toilet pollutes no waterways, it wont affect the reef nor the fresh water sources in the village. The composted material can be used for planting or rehabilitating the coastline. 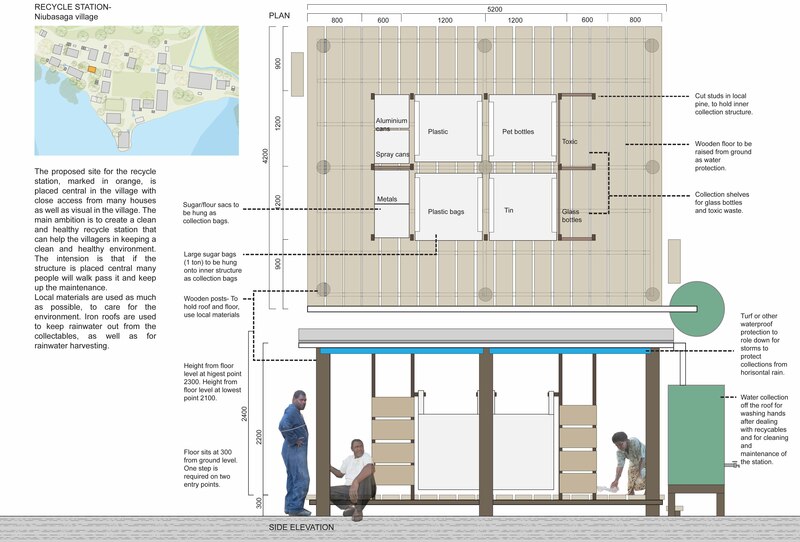 By constructing the toilets we hope to minimize the human impact on the environment. The project also aims to empower the community and strengthen cultural values. This is performed through skill building, working together as a community, community participation in all processes of development and use of traditional methods and structures. The project also resulted in a manual, on how to construct your own composting toilet. Replanting mangrove 2 The village rehabilitated the coastline of Niubasaga with appropriate native trees. Wet areas of the village are planted to reduce flooding and provide future building materials. The coastal front of the village is planted with mangroves to protect the front from the increasing soil erosion. Today, much of Niubasagas coastline is disappearing during the cyclone season, much of the sand has been removed by the waves and the rising sea levels are becoming noticeable in the village. Trees planted will be tiri, niu and dongu. The replanting of the trees also respond to planting back the resources used it the construction of the composting toilets. This is to ensure that the village will have these resources for the future. Waste management 3 The main objective was make Niubasaga a safer place with less waste. Not only will the village look better it will also be healthier and have less chances for infectious diseases to spread. We hope to reduce the pollution on to our reef by awareness spreading and constructing an appropriate collection point for recycling. With a collection of recycables we will contribute to using our worlds resources in a responsible manner. The village has also formulated the need for an area infrastructure to deal with the recyclables and is working together with the Moturiki Environmental Committee to realize this. To read more about the area infrastructure proposed, click here. Collaboration partners: Niubasaga village, Moturiki Environmental Committee (MEC), University of the South Pacific through professor Joeli Veitayaki & Partners in Community Development (PCDF). Funding of Project: Award money from Yves Rocher Foundation for our work on project 1, Anna Sundman, Britta Risholm and a Minor Field Study Scholarship awarded to Anna Sundman from Swedish International Development Cooperation agency (SIDA).